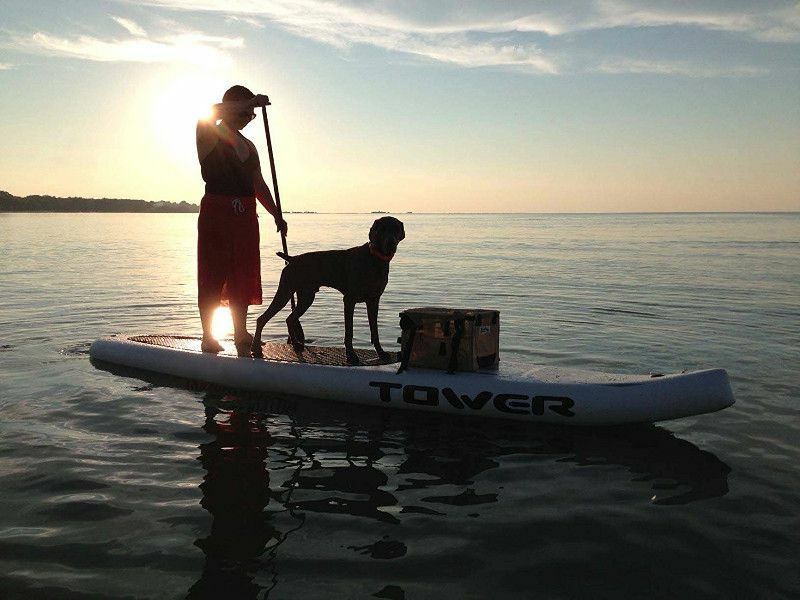 Tower has been the torch bearer of inflatable paddle boards for years now and that doesn’t seem to be changing anytime soon. In fact, this is one of the few brands which can be legitimately labelled an OG of the industry. Tower has not only revolutionized the industry but it has done so several times. 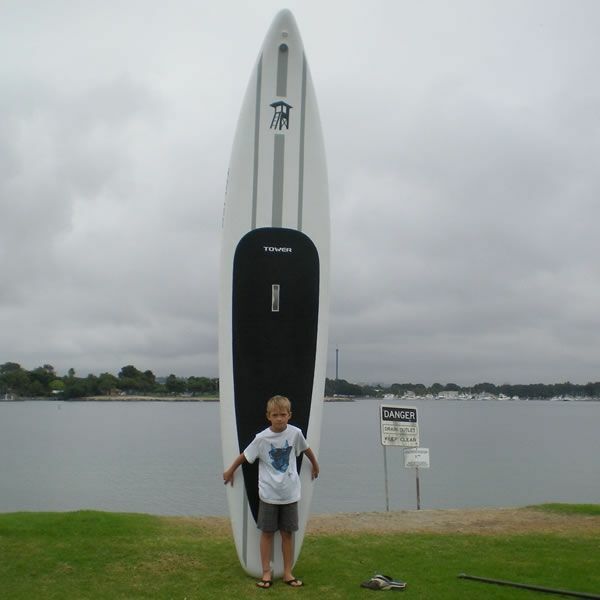 The brand has effectively helped through the evolution of inflatable paddle boards, leading to the Xplorer 14’. The Xplorer might sound just like any other generic name for a prototype iSUP but it actually carries a lot more legacy than most boards out there. Indeed, this is potentially one of the most promising versatile inflatable paddle boards in the game and it deserves to be studied. Starting at the most critical area, measurement is quite definitive when it comes to boards generally and inflatable ones aren’t an exception. Indeed, it is important to get the exact measurements of a potential purchase down before you make any further steps towards that ‘add to cart’ button. So, let’s begin with length since it’s apparently the most significant dimension for many things in life. I’m sure you’re already aware that the Xplorer measures 14 feet in length which is an impressive size to say the least; but most importantly, it is a size which brings about many restrictions and benefits. In terms of restrictions, it goes without saying that the board would be only compatible with adult paddlers. As for benefits, taking into consideration the sharp / dynamic design of the board, the Xplorer might be one of the most balanced and swift iSUPs on the market. Speaking of balance, one cannot mention the ability of balancing yourself on top of a board without speaking of width. In fact, width is often dismissed as a secondary dimension but it is just as impactful as length. 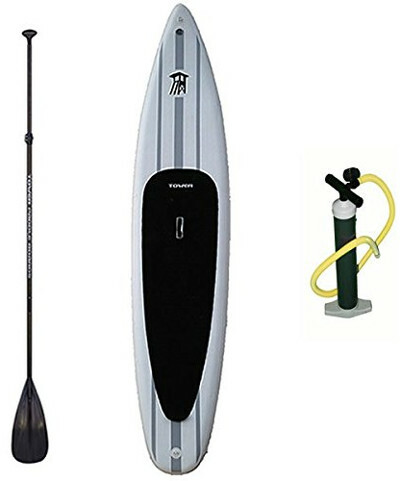 Especially for beginning paddlers, the width of the board is going to make a huge difference which is why Tower went with a comforting 32 inches. At this size, you’re guaranteed to experience stability like no other in most circumstances. Last but definitely not the least of the board’s dimensions is thickness. As far as we’re concerned, a board should be sturdy and compatible with our size but often times we dismiss thickness whereas it is crucial for both. Effectively, the Xplorer goes for an unprecedented 8 inches in thickness to cater for its significant length but also to ensure that the board does not bend at the center under excessive pressure. PS: The board can handle a jaw dropping 700 lbs as a maximum weight limit. There is no question that one of the top brands in the industry carries quite the reputation for its products and a lot of that legacy is credited to quality. Actually, if anything, Tower is known for creating some of the most durable yet flexible boards in the industry and to be able to achieve that on an inflatable model is definitely a challenge. To achieve that, Tower went with a full on military grade PVC body for the Xplorer. If that isn’t impressive enough for you then note that this is the same stuff the army uses to build their zodiac boats and some of their bullet proof vests. Further, to make sure the hull is perfectly conjoined, Tower reinforces the Xplorer with a double layer industrial drop stitch construction, perfectly sealing all seams and leaving no room for accidents to happen. The clever anti slip gripping EVA pad which covers around 50% of the board’s surface. The pad is laid out purposefully over the most commonly used areas on the board and that will not only eliminate the possibility of you slipping off but it will also grant you a firmer grip and command of the board. Also, the Xplorer comes with a central carry handle which will prove to be extremely efficient since it’s almost impossible to carry this board individually in any other way. Last but definitely not least and as an extra reach towards that authentic touring / adventure board, the Xplorer opts for an individual fin navigation system to help you cruise through a variety of environments. This system might not track as the triple fin system can but it’s definitely reliable, not to mention more agile. Since we’re speaking of agility, let it be known that this is one of the most deceiving iSUPs on the market. Indeed, regardless of it being a giant, this board can be impressively fluid. The board is nicely built and that can be seen in the fine details on the edges and the bottom of the board which only further enhances its ability to navigate through waves like it would on a steady lake. The single fin system might not be perfect but it’s far more efficient than you’d imagine. Indeed, with only one fin, the Xplorer is capable of tracking beautifully and more importantly it is significantly more responsive than any triple fin model. 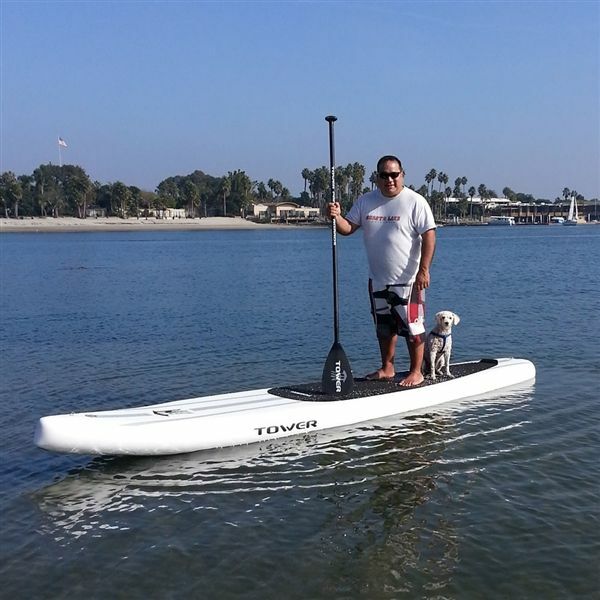 The Tower Xplorer 14″ iSUP can pick up speed quickly. It’s very rigid once inflated to the recommended PSI. It’s designed for speed and distance which makes it great for racing or touring. It can take up to 700 LBS. 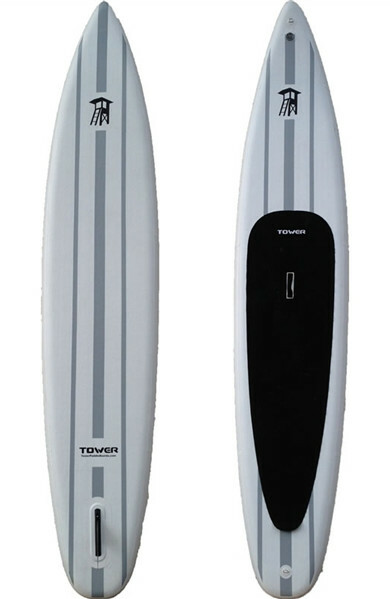 The Tower Xplorer 14″ isup is a bit pricey. It can be hard to control especially for small riders. It deosn’t come in an all-inclusive package.